Waddle, splash, flutter and quack- that’s Bashful Duckling’s daily routine! Sometimes this little duck needs some time to rest. 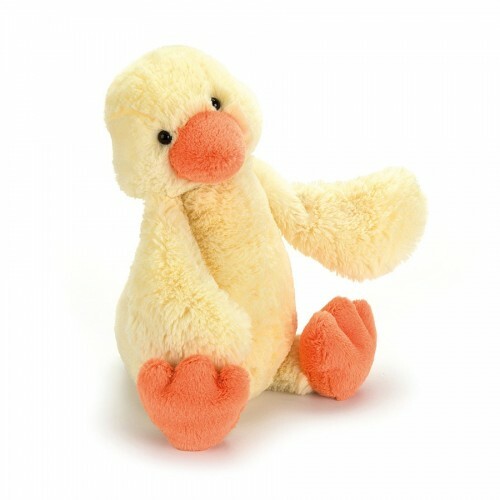 With silky soft wings, in beautiful buttermilk, and big squishy webbed feet, in eye-catching orange, this soft toy is as soft as a feather and will happily snooze after all that playtime.